What is the Myers-Briggs Type Indicator? The Myers-Briggs Type Indicator (you might know it as MBTI) is a theory claiming every person has a personality type, 1 of 16 in fact, depending on their (usually subconscious) preferences for obtaining and processing information. Based on these preferences it’s possible to predict and explain people’s behavior, obviously making MBTI a useful tool in communication, attempts to understand influence relationship and workplace dynamics, personal development and so on. An MBTI-type is described through a combination of four letters: I or E, S or N, F or T and P or J (in that particular order). So resulting combinations can be for instance ESFP or INTJ. Over the years, the website 16Personalities has given names to these types and since it’s one of the more user-friendly websites out there many people have come to know their type through a name (such as ‘the debater’). MBTI was developed by Katherine Briggs and Isabel Briggs Meyers (mother and daughter) as a variation on the psychological types described by the psychologist Jung. They published a number of books and articles, such as the book Gifts Differing: Understanding Personality Types and Manual: A Guide to the Development and Use of the Myers-Briggs Type Indicator. 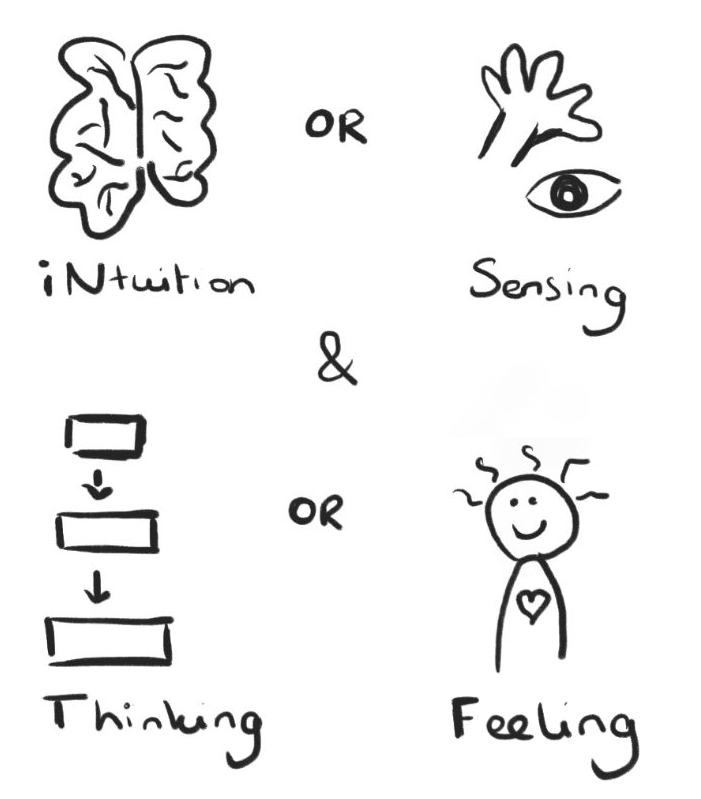 Over the years, many people have contributed to the theories behind MBTI. As these people are not the original authors most work on MBTI can be considered fanfiction: extensions made by committed enthusiasts. That said, this does not mean said fanfiction is less valuable or less true than the original work. In the end, it all comes down to logics, argumentation and evidence. A lot of information on this website is also fanfiction: it’s thoughts and ideas on MBTI originating from our authors. Treat it as such: don’t take anything for face value and remain critical of what you read.